Oh, to be a kid again! We're always chasing our youth—that’s no secret. But, rather than slathering on anti-aging products to reverse time’s fearless forward march, two cosmetic companies are looking to evoke a bit of childhood nostalgia to help us feel young again. Is it bad that we became so incredibly giddy at the first mention of MAC’s Hello Kitty Colour Collection, a 32-piece grouping of high-intensity, girly-girl makeup products based upon the cutest Sanrio kitty-cat, that we phoned all of our best girlfriends to break the news? We confess: We acted like 30-going-on-13. Which may be just what MAC wants. The collection, broken into two personas—Wild and Mild, will whet your inner-teen’s insatiable appetite, with six lush Lipsticks, six Lipglass glosses, two Tinted Lip Conditioners, two punchy eye quads (not for the faint of heart), and a whole lot more to fill up that Caboodle you’ve been storing since 1993. And if arts and crafts were your thing as a child (we spent hours crafting macaroni necklaces), you’ll be drawn to Reflects Glitter and Glitter Eye Liners, which we got a sneak peak of, testing them out during all of those after-parties during Fashion Week. 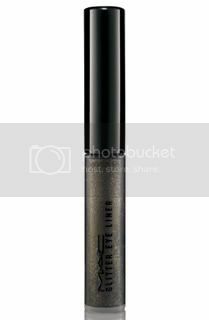 Our favorites: Very Pink Reflects Glitter, which looks dazzling dabbed over lip gloss, and Her Glitz Glitter Eye Liner, a subtle pewter hue with suspended rainbow glitter that made our eyes pop without looking garish. We also love how each lipstick is imprinted with an image of Hello Kitty—too cute! We don’t know about you, but we always longed to look like Malibu Barbie—that long, pale hair; that bronzy glow. And now we can: Just in time for Barbie’s 50th birthday, Stila introduces the limited edition Barbie Loves Stila Collection, an ode to that most perfect beauty icon, Barbie. This month, four “Decades of Beauty” cans packed with Stila faves debut; each can helps you rewind and recreate the many faces of Barbie. As we anticipated, we’re a 1971 Malibu Barbie, which contains pale pink Malibu Lip Glaze, Bronzer, Black Lash Visor Macara and more. Other Barbies that will have you playing dress your face up: 1959 #1 Ponytail Doll, 1980 Foxy Doll and 2000 Jewel Doll. 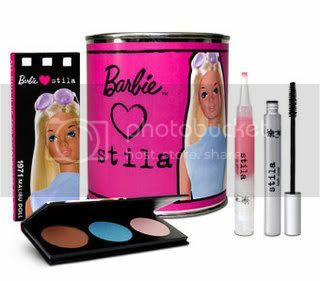 And if you’re a diehard Barbie fan, Stila introduces a Barbie Loves Stila Talking Palette (it talks…seriously) and a more extensive collection that will debut this fall. Now, where’s our Ken? 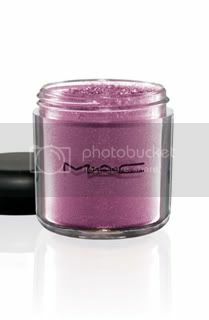 Recapture your beauty youth at maccosmetics.com, stilacosmetics.com, sephora.com and nordstrom.com.